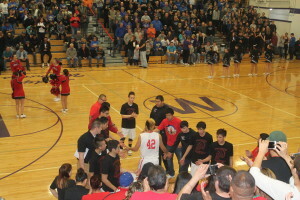 Winner boys basketball team fell to Pine Ridge 73-51 on Jan. 18. Leading scorers were Brady Fritz, 13; Shea Connot, 11; Brandon Volmer 7; Oscar Pravecek and Joren Bruun, 4 each. Fritz pulled down 10 rebounds Volmer 8 and Justus Gregg, 5.